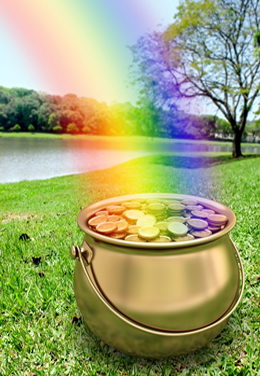 Luck of the Irish — What about the rest of us? I honestly don’t know if the Irish are anymore lucky than any other group of people. I have never witnessed a lucky moment of an Irish man (I happen to live in an area with a huge Irish immigrant population, which would up my chances of seeing a moment like this). I have witnessed Irish men drink an exorbitant amount of alcohol, more than seems humanly possible, and live to see the next day, but that’s really about it. It’s not that I don’t like to take risks, but I just don’t like my odds in the game of chance. I don’t know if I believe in destiny, but I do believe in fate. Being in the right place and the right time. I don’t know if everything happens for a reason, because I’ve seen some lucky bastards win things who definitely didn’t deserve them, but I guess that is often characteristic of luck. Luck is not merit-based. I still say things like, “wish me luck,” and “good luck,” but those are just sayings really. I mean, I really do wish that I could have some good luck. I have a tendency to have a lot of bad luck poured on me at the same time. But I guess people have a tendency not to recognize good fortune when it is upon them. Because things always could be worse. Seriously. I’m lucky to have my health, my love, my family, my freedom, my job, my home, my friends. I could be sick, single, an orphan with no job or friends and call prison home. But I’m not. But I will always want more. I am a good person. I know a lot of good people who do good things. I wish luck to all those who deserve it. If only there was some fairness in luck. I think good luck is nice when it happens, but I’ve learned not to rely on it because you never know when or if it will happen. Like you, I also don’t gamble or play the lottery. I was almost fooled by one of those spam e-mails that said I could win a new iPad if I just answered a few questions; of course it was a scam and I ended up with a lot more spam e-mails as a result (fortunately, I didn’t lose any money). But I’ve learned to be wary of people who make it seem like luck is something that can easily be gained. Quite often, things that appear to be bad are just seeds sown so that good may grow.